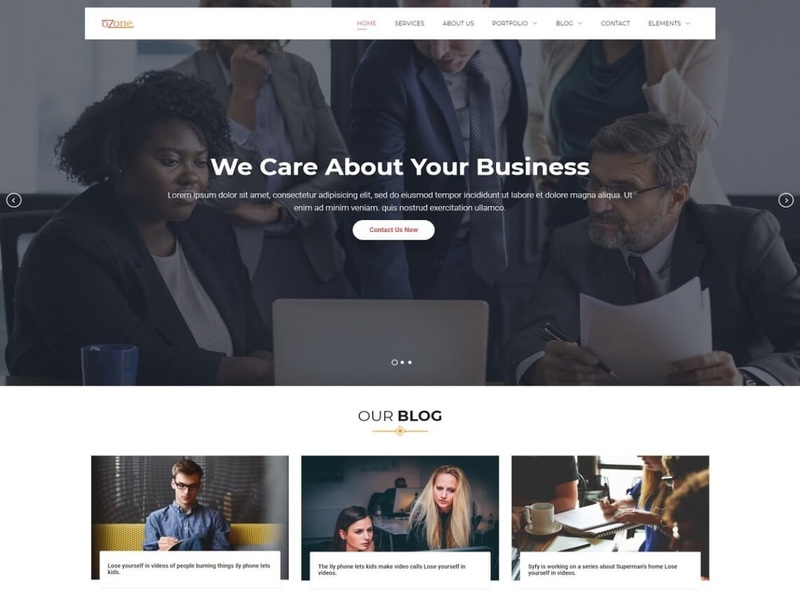 Ozone is responsive and fully editable free business WordPress theme. Fully customizable and retina ready WordPress theme. A theme is a multipurpose WordPress theme which fulfills your requirements. A theme is perfect for Business, Corporate, Agency, Hosting provider, IT solution, IT startup, Cryptocurrency, e-commerce, blog, personal, resume and online shop websites. A theme is compatible with all major website builders plugins like Elementor, visual composer, Divi Builder, Breezy, Beaver Builder etc.. A theme is a translation ready WordPress theme support RTL. Ozone main feature it is very lightweight and SEO compatible. A theme is a very fast loading WordPress theme and has a very perfect grid layout look.